Emily Jude Wilson, age 73 of Pilgrim, passed away Monday, September 9, 2013 at her residence . Born October 13, 1939 in Martin County to the late Elmer and Rebecca Jones Jude. In addition to her parents she is preceded in death by one son Wayne Allen Wilson; one step grandson Dustin Hyatt; five brothers James Jude, Albert Jude, Odais Jude, I.G. Jude, Floyd Jude; two sisters, Alice Jude and Ida (Jude) Smith. 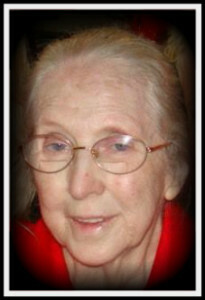 Emily is survived by her husband Lowell Wilson of Pilgrim, Ky; three daughters, Hermie (Charlie) Evans of Inez, Becky (Gomer) Hyatt of Pilgrim and Angela Maynard of Pilgrim; one sister, Ruth Jude Lowe of Debord; four grandsons, Ryan (Andrea) Wilson, Jerry Blanton, Zack Blanton and Brent Maynard; one step grandson, Garan Hyatt; two granddaughters, Sarah (Jason) Mills and Hope Maynard; two great grandsons, Drew and Davis Wilson . Funeral services will be held at 11AM Friday, September 13, 2013 in the chapel of the Phelps & Son Funeral Home with burial to follow in the New Rt 3 Memorial Gardens at Inez. Gabe Lowe, Tom Dials and Albert Cable will officiate. Friends may visit the funeral home from 5 to 10 PM Wednesday and all day Thursday. Funeral arrangements by the Phelps & Son Funeral Hom, Inez.